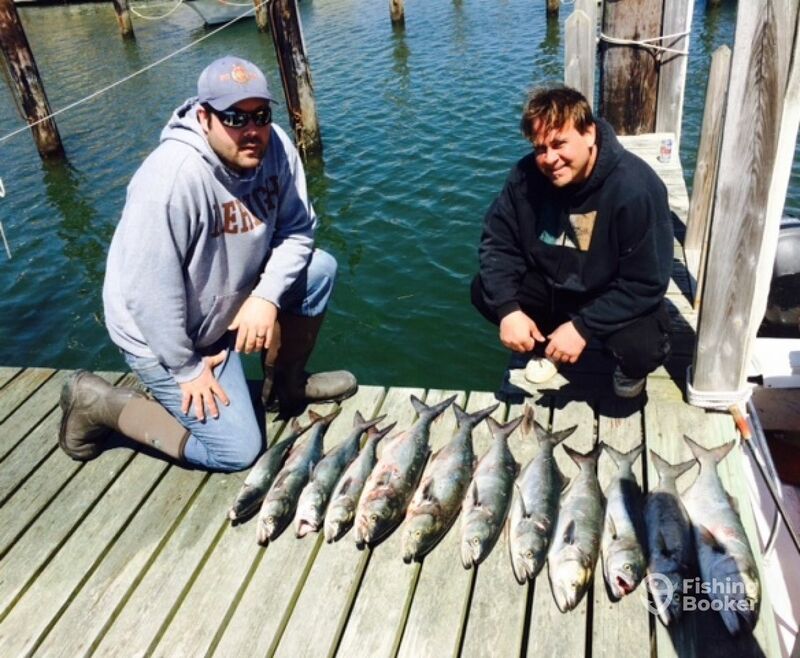 Bluefish, Bluefish and more Bluefish that’s what BabuCharters caught this week. The blues are just about everywhere from the beach front to the back bay, but Great bay was best for us. We couldn’t get any bunker for bait, but we had some Riptide Rotters along with clam chum, and the blues were hungry. We kept a dozen on Saturday for smoking, dinner, and shark bait while releasing at least that many more. The fish were between 4 and 10 pounds. Pictured is Jeff from Absecon fighting a blue, and Brian from Brigantine and Jeff with the the dozen blues that came home. 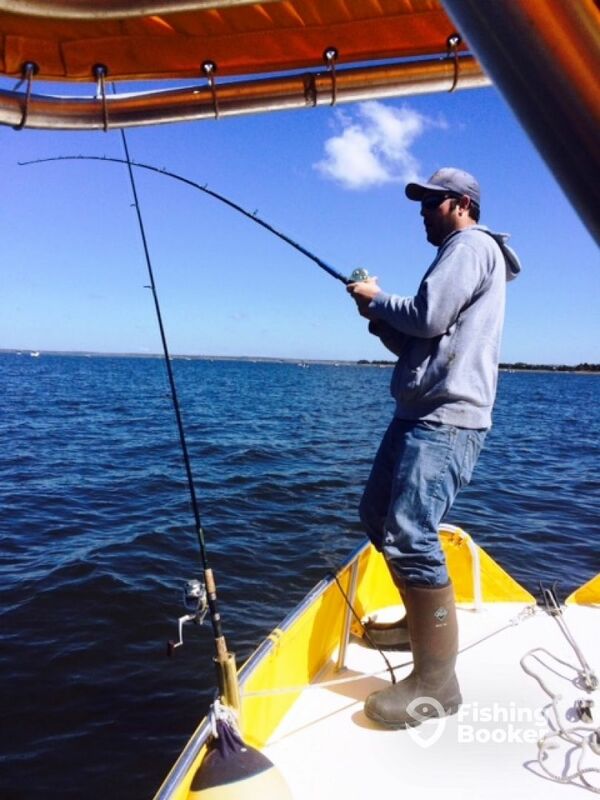 Book your trip with Babu Sport Fishing Charters, Inc.